Twenty years ago, President George H. W. Bush, Canadian Prime Minister Brian Mulroney, and Mexican President Carlos Salinas initialed the North American Free Trade Agreement (NAFTA), creating the largest free trade area in the world. The three leaders had the vision to replace nearly two centuries of distant relations and high trade and investment barriers with the promise of a continental market. Full Text. This entry was posted in Uncategorized on September 11, 2013 by robertapastor. and the United States had a natural alliance. As Brazil’s power trajectory rose, Argentina turned to the United States. When Brazil, Argentina, and Venezuela all allied against the FTAA, the United States turned to bilateral deals with Chile and some Andean countries. But in truth, the United States as a nation was ambivalent about free trade with South America for domestic reasons and because it is a relatively small market. North America represents roughly 90 percent of the gross product and the trade of the Americas. Brazil represents about 6 percent of the product and less than 5 percent of the trade. Poggio has written a significant book that makes two compelling points that should chart a new path for scholars in inter‐American relations. He asserts that the Americas should be viewed as two regional subsystems and that U.S. policy should be directed at each. That point is truer now than ever before. Secondly, he recommends that students of inter‐American relations shift their focus from the United States as the only “agent” of influence to other states in the region. In that, he joins a new generation of historians who seek to balance the U.S. perspective by looking more closely at the policies of Latin American states. The result will be a clearer picture of inter‐American relations. “North American Integration makes a compelling point: the growing interaction between Canada, Mexico, and the United States has been beneficial to all three countries, but it is now endangered by an “institutional void.” This book is a clarion call to build continental institutions to manage the policy intersection of migration, security, and development and forge a more equitable, secure and prosperous North America. 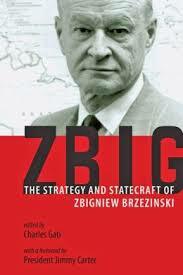 Robert Pastor contributes to ZBIG: The Strategy and Statecraft of Zbigniew Brzezinski, edited by Charles Gati with a foreword by President Jimmy Carter. Read the chapter. Unlike Rep. Peter King and some other members of Congress, Pres. Barack Obama has read the Constitution and recognizes that the Founding Fathers’ greatest concern was to restrain the impulse of the executive to go to war without Congressional authorization. The United States is also a party to international agreements, notably the United Nations charter, which was largely drafted by us to provide international legitimacy for military action on behalf of the collective defense of the membership of the UN. – Who was responsible for the use of chemical weapons? Secretary of State John Kerry made an effective prosecutorial argument that the probable evidence points to the regime, but he also acknowledged the lack of conclusive proof. In short, he made the case for an indictment, but the juries – Congress and the UN Security Council – have not yet deliberated, and they will need to weigh the administration’s evidence, with other evidence from the UN, Russia, Syria and other sources. –If the evidence is convincing that the Syrian government is to blame for the atrocities, then what is the appropriate and effective response by the international community, and by the United States? Certainly, punishment and deterrence are legitimate responses, but they also take us into the quagmire of the Syrian Civil War. Full Text. This entry was posted in Articles, Syria on September 4, 2013 by robertapastor. 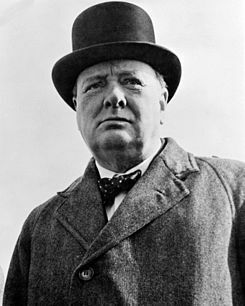 Whenever we go into political drift as a country, optimists often quote Winston Churchill’s line that Americans will always do the right thing, after they’ve “exhausted all other possibilities.” I don’t think that’s true anymore. Churchill never met the Tea Party, and he certainly never met today’s House Republicans, a group so narrow-minded and disinterested in governing — and the necessary compromises that go with it — that they’re ready to kill an immigration bill that is manifestly in the country’s economic, social and strategic interests. Full Text. This entry was posted in Articles, Uncategorized on July 16, 2013 by robertapastor. With almost 100,000 dead in Syria and proposed peace talks at a standstill, former President Jimmy Carter plans to send officials from his foundation to work toward a last ditch agreement between President Bashar al-Assad’s regime and opposition forces, The Cable has learned. This entry was posted in Articles on July 11, 2013 by robertapastor.